What would we do without water? After all it’s essential for life, right? Unfortunately, it can also be destructive and devastating. 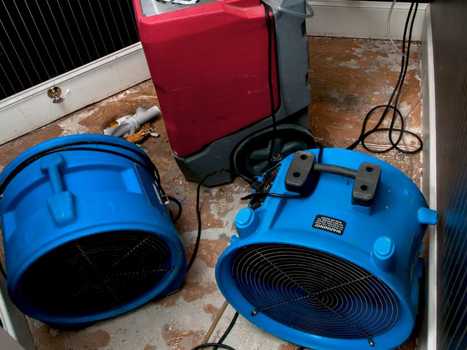 Water damage is one of the most commonly claimed insurance perils annually. Homes and businesses are equally at risk. Water damage can be slow and intrusive such as a leak over the course of months, or it can be a result of a catastrophic event that happens in a matter of minutes. The following are six causes of water damage. Here’s a problem we really have to worry about in Minnesota. Because temperatures dip below freezing for the majority of our winter months, pipes exposed to cold drafts or little insulation can freeze and burst anywhere in a home or business where these issues are present. Water supplies run everywhere within a home or business, therefore issues can pop up anywhere. Appliances, sinks, washing machines, sprinkler systems to name just a very few. Sometimes original installation was substandard, parts can fail. No matter what, water can create substantial damage. Many of us love outdoor winter fun. Snow and ice, especially when it involves ice fishing, skating, and snowmobiling. Unfortunately, in the meantime, snow and ice can cause major problems like ice dams or attic frosting. In either case, damage such as wet insulation, drywall and framing can be tricky to track and get dried out. This is something most of us are familiar with. Images on the news of flooded streets or homes. Storms can be bring torrential down pours. Sump pumps fail or just can’t keep up. Water rises quickly in certain situations and therefore can bring devastating effects. Unless you’ve lived through it, it’s hard to imagine what it’s like to have your house on fire. Thank goodness for firefighters! Ironically, from fire damage also comes water damage, because powerful hoses are blasted at a fire using copious amounts of water. When remaining structure can be salvaged, part of the process must first be to properly dry it out. Sewage backups can happen for various reasons. In the winter, frozen sewer lines can block drainage causing a backup. In the summer, street repairs commonly cause neighborhood backups. Sewage water, commonly known as black water, contains pathogenic, fungal, and viral contamination that is a severe health risk. Immediate cleanup is critical. Failure to mitigate sewage water and contaminated materials will result in a hazardous environment. The initial step in mitigating most water damage is to remove the water completely from the structure. This requires more than a shop vacuum, special equipment that most homeowners and business owners don’t own. You can learn more about these categories here. Drying saturated building materials takes time. In certain situations, removal of building material such as wet or un-sanitary drywall, insulation or flooring is necessary to ensure complete a dry out. This also includes daily data collection and monitoring of the drying process. It’s crucial to make sure every inch of your home or business is dry to standards before repair work begins. Personal property should be moved to a dry location during restoration. Sometimes this may be another room. Other times, if damage is significant, this may entail an offsite secure storage facility until your home or business is ready. We provide our customers a 24-hour secure and climate controlled facility to hold their belongings until the job is completed if necessary. Where there’s water, there’s potential for mold. Mold can cause damage to your home or business, but it can also lead to serious health issues. In water damage situations that have persisted for some time, mold growth can occur. When this is identified, specific steps are taken to properly mitigate and remove the contamination prior to restoration. After water has been extracted, water is still present in saturated materials such as wood framing. Installing professional commercial grade drying equipment (fans and dehumidifiers for example) is essential to complete proper drying. This process accelerates drying and can prevent mold growth from occurring in the meantime. Water damaged structure often requires repair. This could be as simple as installing new carpet pad and re-laying existing carpets. In other situations, this may involve more repairs such as sheet rock replacement, painting, new doors, trim or even cabinetry. Obviously, there are many steps to getting your home or business back to normal. In addition, permits may need to be applied for and specialty trades such as electrical and plumbing may be involved. If so, you may be well served by contracting professional services that can manage and quickly restore your property. Getting help from a trusted mitigation and restoration company with a well-trained staff that has the proper equipment will ease your stress in such an event. If you need help with water damage to your property, UNGERMAN is your one source solution. When you have an emergency, we are available to you 24/7/365. We will assign a Project Manager at the beginning and they will be your main point of contact throughout the project. In addition, we will work directly with your insurance company on your claim. This is what we do every day, whereas this may be the first time you have ever filed a claim. UNGERMAN is a full-service property restoration company with the proper certification and training to assess and repair your property damage. Our vast experience will help determine the source of the water damage and apply the proper solutions to restore your property. We offer our customers a helping hand and the best mitigation methods available with over 40 years in business.